The famous aviator blamed Jews, British, and the Roosevelt administration as war agitators. In the 1930s, celebrated aviator Charles Lindbergh was one of America’s best known heroes, famous for his daring solo flight across the Atlantic Ocean in 1927. However, by 1940, at a time when many Americans feared being drawn into another world war, Lindbergh was also known as a spokesman for the America First Committee isolationist movement. On September 11, 1941, Lindbergh delivered a speech in Des Moines, Iowa, in which he identified groups that he believed were conspiring to force the U.S. into war against Germany: "The three most important groups who have been pressing this country toward war are the British, the Jewish [sic] and the Roosevelt Administration." The speech was criticized in newspapers across the country, and politicians across the political spectrum denounced it. Wendell Willkie, the GOP presidential candidate in 1940, called it “the most un-American talk made in my time by any person of national reputation.” President Roosevelt remained silent, but the White House press secretary released a statement noting a “striking similarity” between what Lindbergh said and “the outpourings of Berlin in the last few days.” Many people denounced Lindbergh as an antisemite, and the controversy surrounding his speech irreparably damaged the isolationist cause. Within three months, however, the question of war was moot. Japan attacked Pearl Harbor on December 7, 1941, and Germany declared war on the United States four days later. 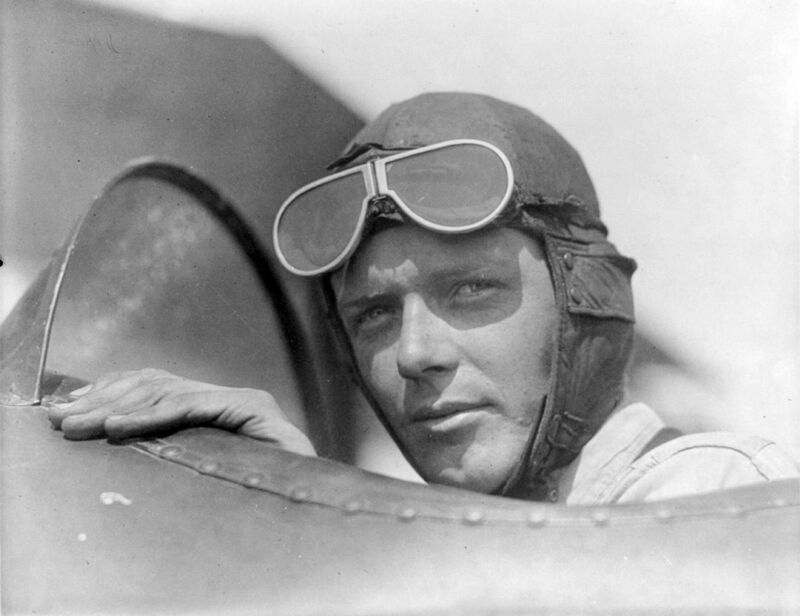 Lindbergh remained silent in public throughout America’s involvement in the war. September 11-18, 1941 News articles about Charles Lindbergh’s speech in Des Moines. September-October 1941 Editorials, op-eds, letters to the editor, and cartoons reacting to Charles Lindbergh’s speech in Des Moines. September-October 1941 News articles about the reactions of leaders, politicians, and the public to Charles Lindbergh’s speech in Des Moines. "How About The Man Behind The Gun," Mr. Lindbergh?